We are lucky to live in an area of Cambridge with a bundle of lovely places to eat but as of late there has been delightful explosion of yummy new spots. 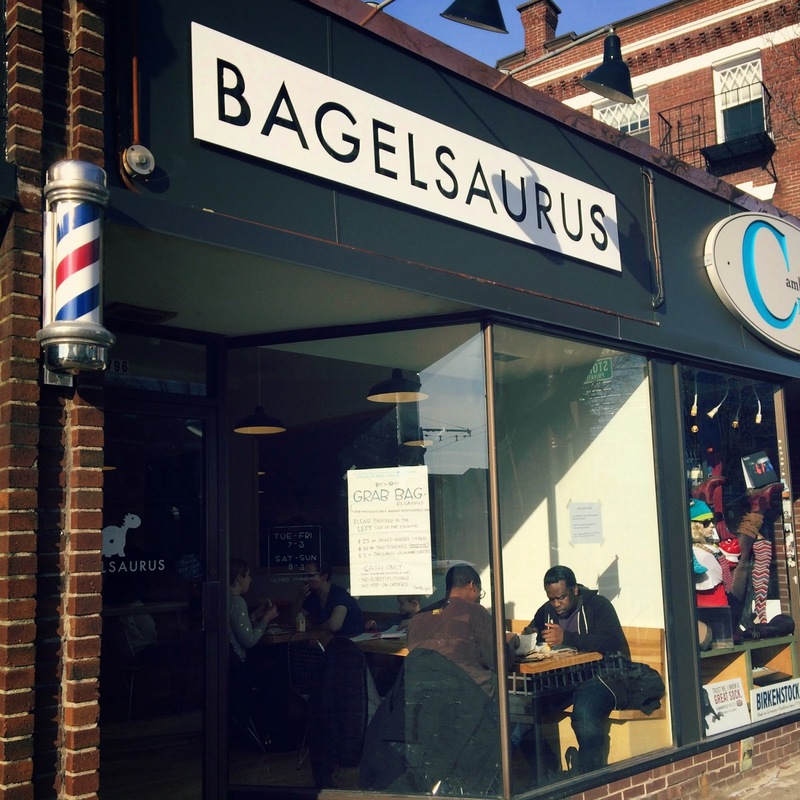 Case and point the cheeky named Bagelsaurus. Anyone who lives in New England knows and appreciates the power of the New York City Bagel. They are always tasty and I concede that yes, there is something in the water that just makes them chewy, flavorful and god help you if you get a warm NY bagel, delicious. So with that being said Boston has yummy pastry shops and the best darn clam chowder but bagels have always just been ok. Until now! 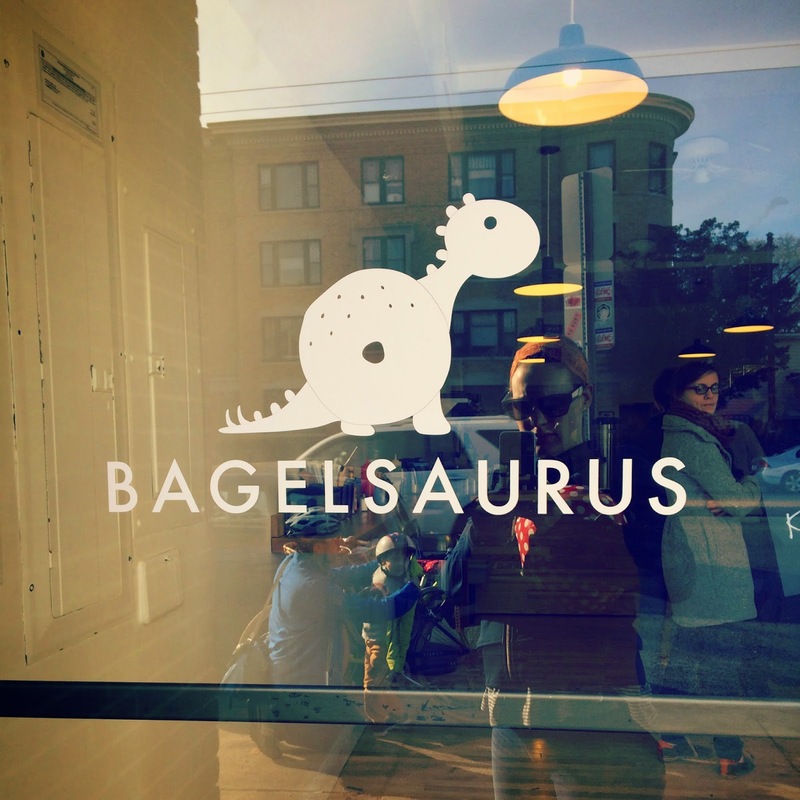 Oh my goodness, Bagelsaurus boils and bakes all of their bagels on site and serves them straight from the kitchen. 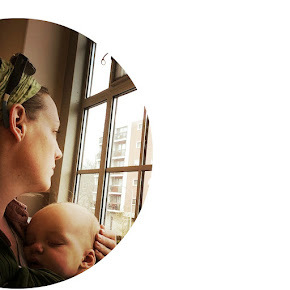 They are simple and perfectly executed. 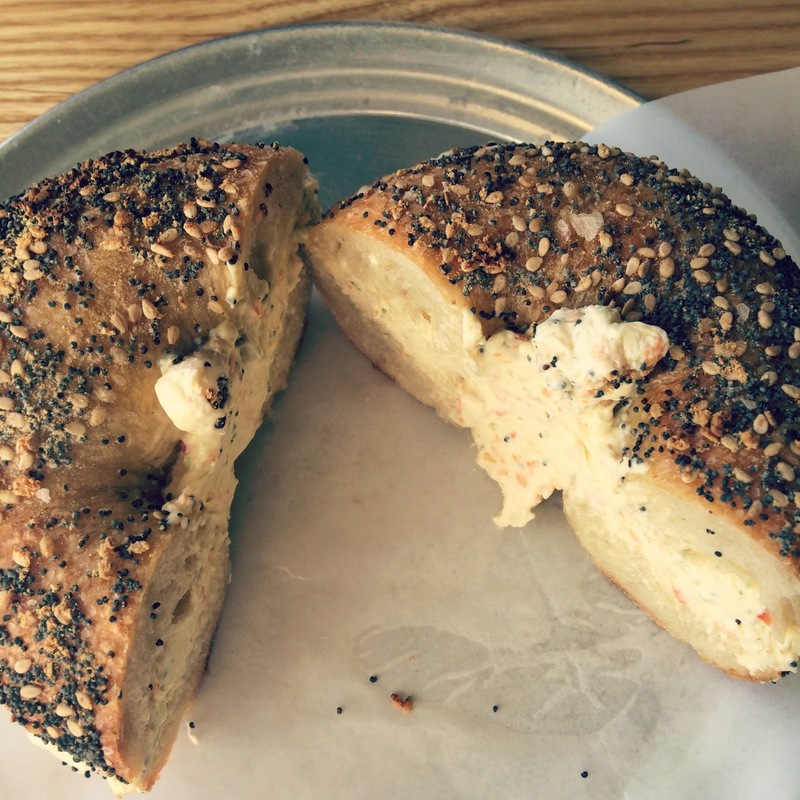 I am a sucker for an everything bagel with veggie cream cheese and Bagelsaurus hits it out of the park. 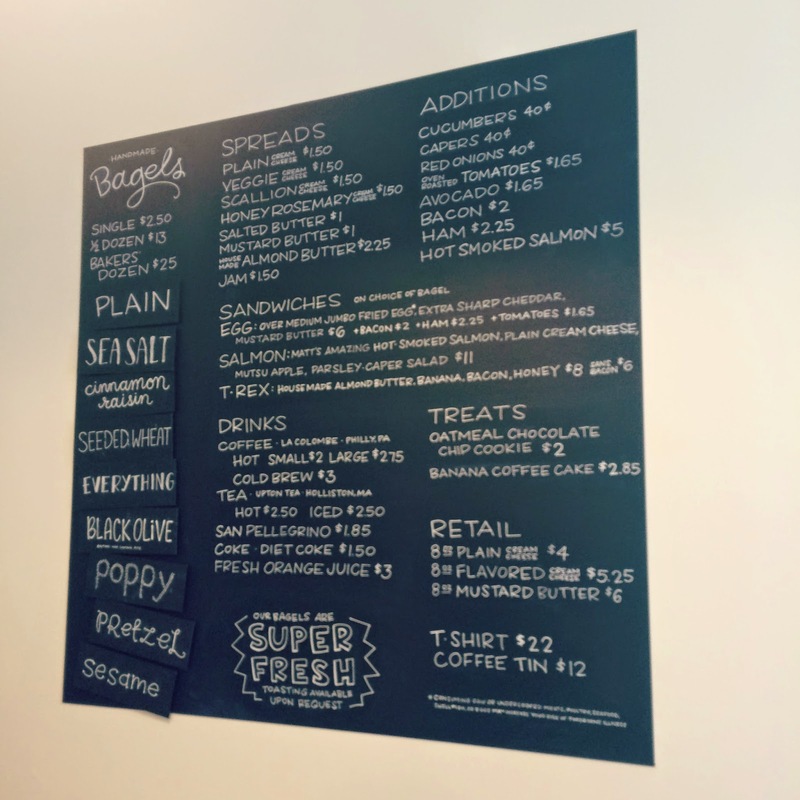 So huzzah, now you do not have to wait and yearn for a New York City bagel you can head on over to Porter Square and fulfill your every bagel desire. 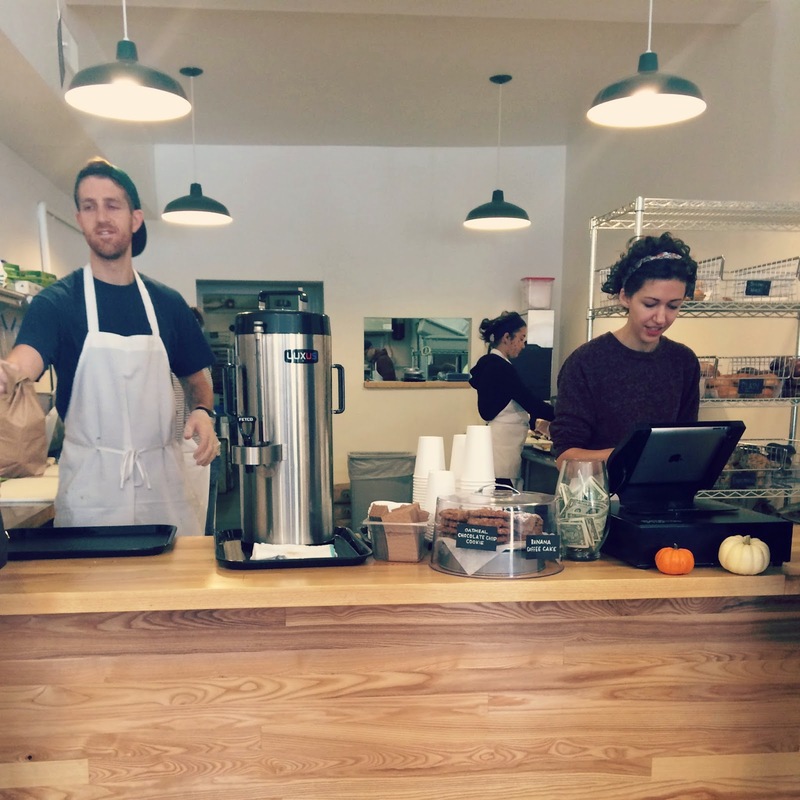 Easy peasy location, right off of Mass Ave. in Porter Sq. yum! my favourite bagel! with veggie cream cheese. cheerful staff and clean, simple design. simple and tasty menu. all of the best varieties with spreads and a few sinful sandwich combos.